DISCLAIMER: READ THE UPDATE AT THE BOTTOM! Before I start, let me insert this BIIIIIIIIG disclaimer. EVERYONE is entitled to their opinion. I understand that Thanksgiving is a very all-American and very important holiday of the country to some, and it is totally fine if you read this article and disagree with every single word I say and continue to feast on Thanksgiving day for the rest of your life. I may not know everything here, and I may be talking about a complete falsity that was designed to create fear and animosity. But, I am personally entitled to my opinion as you are to yours. If you have done your research, educated yourself, and are still against what I am about to say, that’s fine and please click out! Anyways, you can probably recall the first grade pictures of the European pilgrims and the Native Americans your teachers displayed every November. You probably had to even draw the “first Thanksgiving”, color in a cornucopia, write down what you were thankful for, et cetera, et cetera. Those teachers probably told you the Columbus story and how he called the Native Americans “Indians” because he thought he arrived in India, and the Native American tribes were taught how to grow corn while the Pilgrims taught the tribes how to build houses. 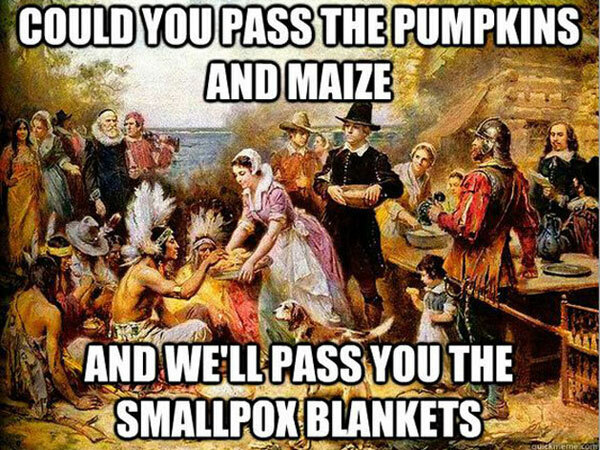 I believed all of this and programmed these images into my mind when I thought of Thanksgiving up until sophomore year when I took AP World History; then, I learned a few terrible truths: the Spanish Reconquista, the Trail of Tears, the Mendocino War, American Indian Wars, and the plague of the small pox. These all linked to a movement known as colonialism, or the Genocide of Indigenous Peoples. 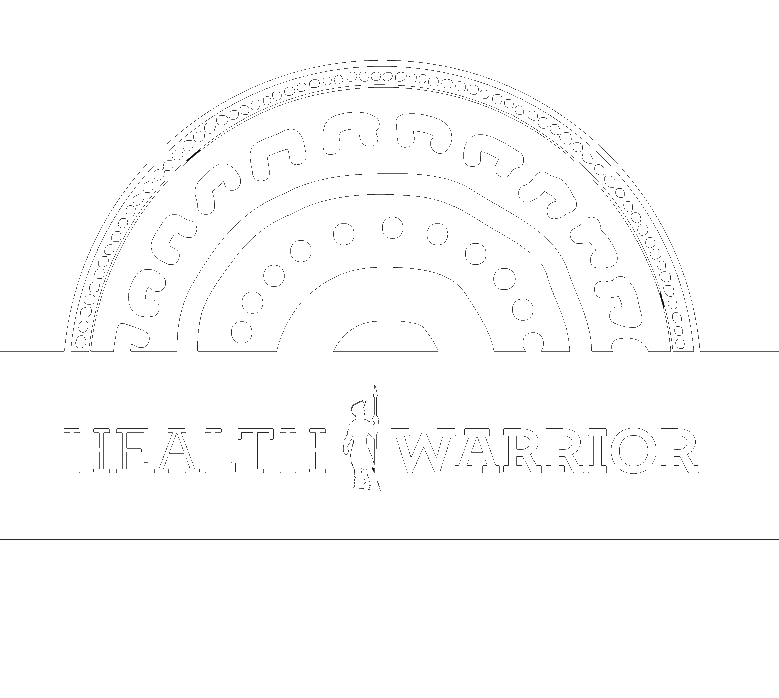 I also learned that after colonialism, Native American survivors and descendants were barred from basic rights: voting, schooling, working, buying a home and owning land–they were also subject to discrimination and segregation. Living as a Native American would be like a bloody, violent Cinderella story, except the ending was not happy. You were a slave, a peasant, a weakling in your own home that was rightfully stolen. I personally believe that celebrating something that is so skewed from what actually happened in history, but also bloody, vulgar, violent and racist, is just so, so vile. However, I blame no one for celebrating it. I too once thought that Thanksgiving was an innocent holiday where you give gratitude to everything you have, which is wonderful, but that doesn’t have to be reserved to ONE DAY! Even though I do want to sit at the dinner table with my family this Thursday, I don’t think that Thanksgiving should be celebrated. I don’t judge anyone else who does because it does place an emphasis on community, gratitude and family, but on the other hand, I’ll have one less holiday to celebrate once I live on my own. If I find an event with friends who celebrate Thanksgiving, then I’ll go because I don’t want to isolate myself–my heart and soul wouldn’t necessarily go towards celebration, but I would just talk about Thanksgiving as little as possible. I’ve even found a wonderful volunteering opportunity at Cafe Gratitude to spend the day! I’m going to work as a hostess, but I’ll update more on that in a future video/post. In all other words, go ahead and enjoy your Thanksgiving dinner with no guilt, because it’s pretty fair to say that we’ve moved on from the colonial times. That being said, I am a minority and I feel more for the Native Americans, who would feel deeply offended with this holiday. While you plan for your turkey feast, you can find some tasty recipes down below in my blog! UPDATE: My good friend and I actually spoke about this same topic yesterday afternoon, and she explained to me that the evidence of the Native American genocide was actually not entirely true. It is said that the American Indians were actually NOT the people who settled first, and they themselves killed off all of the indigenous peoples living there already, but because the Native Americans lived in the continent for hundreds upon hundreds of years, there is such a lack of DNA of the actual indigenous tribes that it is widely assumed that the Natives were the first when in reality that is not the case. History is constantly revised. That being said, the “dining with the pilgrims” image is also untrue–the pilgrims and the Natives weren’t enemies, but they may not have interacted as the coloring books depict so. The Pilgrims probably observed the way the Natives lived and learned from them. It wasn’t until President Jackson’s time when the Caucasian Americans truly tried to decimate the Native Americans and make civilization difficult for them. With this in mind, I have warmed up to the holiday a bit more, even though it is still not that big of a deal to me. Thank you so much for your input, Sara. I learned a lot from reading your comment cited from this book. I looked up scalp hunting a bit more and it also took place in other areas such as Siberia and in the Caribbean. It’s just a lot more commonly known among European settlers who scalped the Native American tribes and in the Kansas-Nebraska War where abolitionists were scalped for political opposition. To answer your question, my friend got this information from her history class and her textbooks. Every interpretation of history is different, so it’s important not to blindly believe everything we’re given. However, my belief that Thanksgiving is an unethical holiday has not changed. I still resonate with the Native Americans completely because of all the hardships they underwent with the government and through genocide and discrimination. It’s sad that a lot of people who committed such wrongdoings are glorified in our history today–it’s as if our country refuses to admit to its unethical practices and tries to cover it by making up false information. That’s why it’s so important to do your research, consider both arguments and then choose your battles wisely.